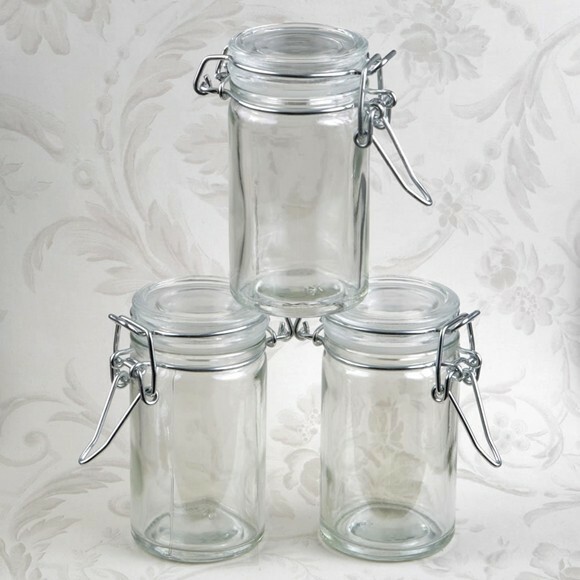 From the Perfectly Plain Collection, these nostalgic 3.5 ounce apothecary jars are made from glass and feature a cylindrical shape. They have a hinged glass lid with a silver metal air-tight locking gasket that is designed to keep the contents fresh. Both the front and the lid are perfectly sized for the application of a label of your choice (labels are not included). A unique and feel-good favor that can be filled with treats of your choice. Sold individually.